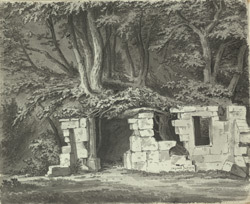 The remains of Our Lady's Chapel at Bothal in Northumberland. Bothal was a small rural parish, with a population of about 600 in 1801, situated between Ashington and Morpeth. It also has a ruined 14th-century castle.